ElectronTubeStore / Nonmetals / Glass / Glass Tube, Borosilicate, 6.0mm OD x 2.7mm Wall x 12"
One 12" length of borosilicate glass tubing. Our Kovar wire/tube and sheet provides a reliable glass-to-metal seal against this glass. 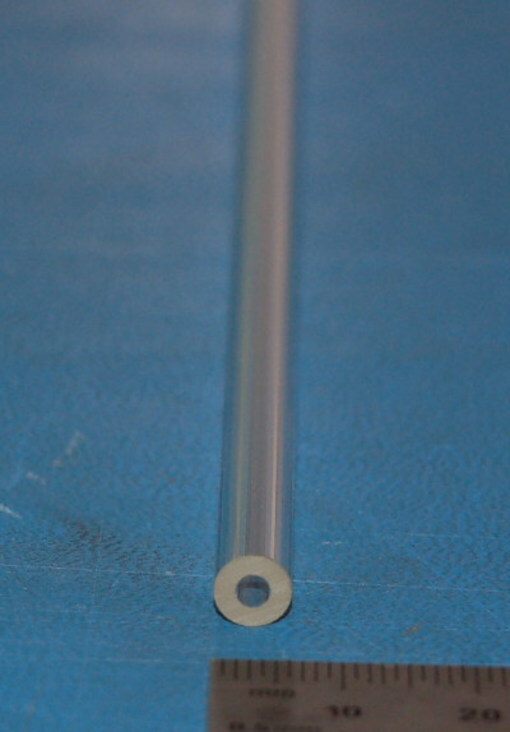 We can also provide glass tubing in arbitrary lengths, as well as custom glass items (please inquire). Tubes are packed securely for shipping. We will combine shipping for multiple lengths and diameters in the most secure and economical way.